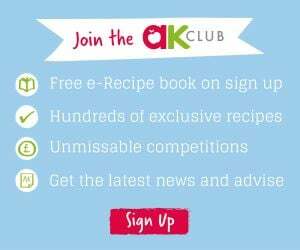 Home » Baby » Weaning » 5 Ways To Easy Weaning For Parent & Baby! 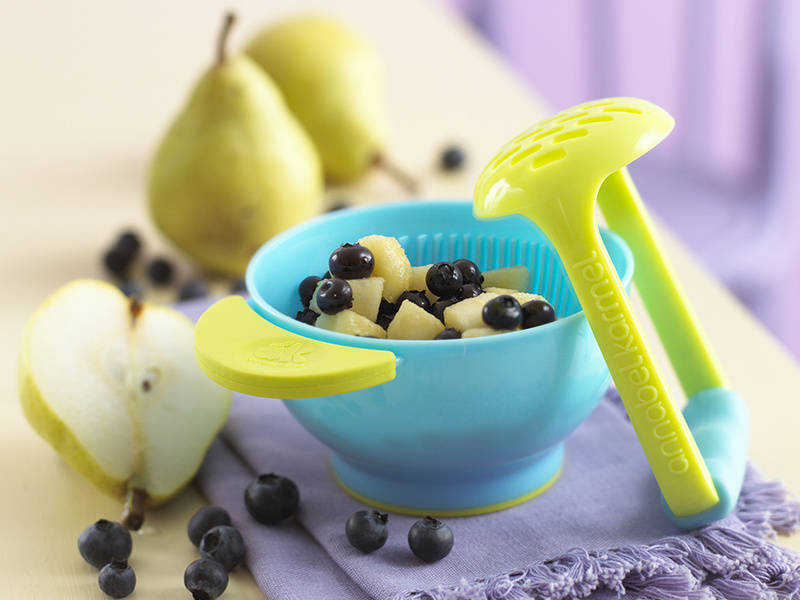 5 Ways To Easy Weaning For Parent & Baby! As well as ensuring they develop healthy habits from early on, as a parent you also want to make the process of weaning your baby as natural and straightforward as possible. 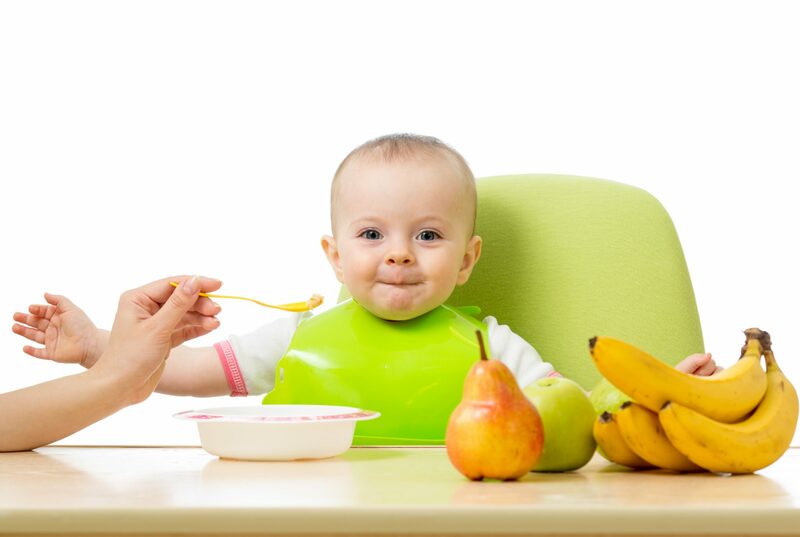 While we can’t guarantee the journey will be totally plain sailing, Babymoov have shared their 5-step easy weaning guide to encourage the easiest and most rewarding mealtime transition for your baby AND you..
Weaning is not recommended before 17 weeks, that doesn’t mean to say they won’t be ready from after this time. Like most things, your intuition will play a big part in this and usually a few easy tell-tale signs! Having the ability to hold their head up, sit up independently as well as showing curiousness to venture out and pick up things are all positive indicators! The next step…try giving them a piece of softened vegetable to eat – if they push it back out with their tongue they may not be quite ready yet. New parents should feel confident to explore both baby-led and spoon-fed weaning alongside one another and find a combination that feels right for baby. Both methods will support their development in different ways. 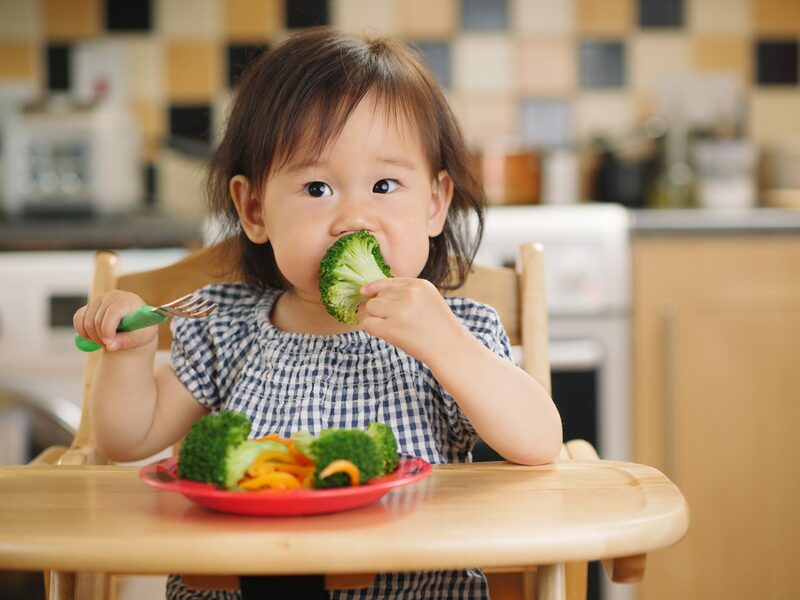 Introducing your baby to soft chunks of steamed veg, potato and soft fruit etc firstly will encourage the strength and coordination of their lips, tongue and jaw to encourage long-term speech development as well as holding foods and developing the pincer action. Smoother foods, purees and liquid meals are naturally easier to digest early on which will enable baby to take on more nutrients, quicker. Simplify the process for them and for you. When they enjoy the process, you’ll enjoy the process and vice versa. Thanks to new reusable pre-sterilised Foodii pouches by Babymoov weaning at home or out and about is equally stress-free and mess-free. Prepare and store pureed leftovers, homemade and ready-made baby meals in advance into easy feeding Foodii pouches using the mess-free Foodii wide-spout snack filler. 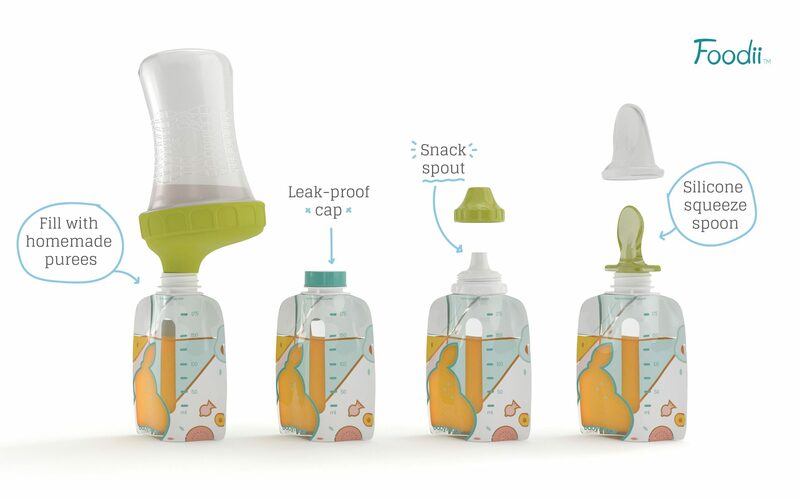 Depending on the age of your baby, choose from snack spout feeding top or soft silicone squeeze spoon (soft and flexible, perfect for delicate gums) which are simply screwed onto the pouch. Foodii pouches encourage your baby to hold, develop co-ordination and feed independently from the earliest stages. Click here to watch the Foodii in action. Whether they decide to launch it at you or love it, it’s worth remembering that your baby will taste something up to ten times before they truly decide if they like it or not – so don’t panic if they reject certain foods early on. Keep giving them variety each day, try not to repeat too much but go back to things they show disinterest in often; they will usually change their mind! Persistence and variety throughout is key in ensuring your baby is getting as many taste experiences as possible. Try not to impose any personal food distastes or worries onto them, if you can. When it comes to even potential trigger foods for baby allergies, research suggests that babies who are given a wide variety of foods between six and 12 months are less likely to suffer from allergies. 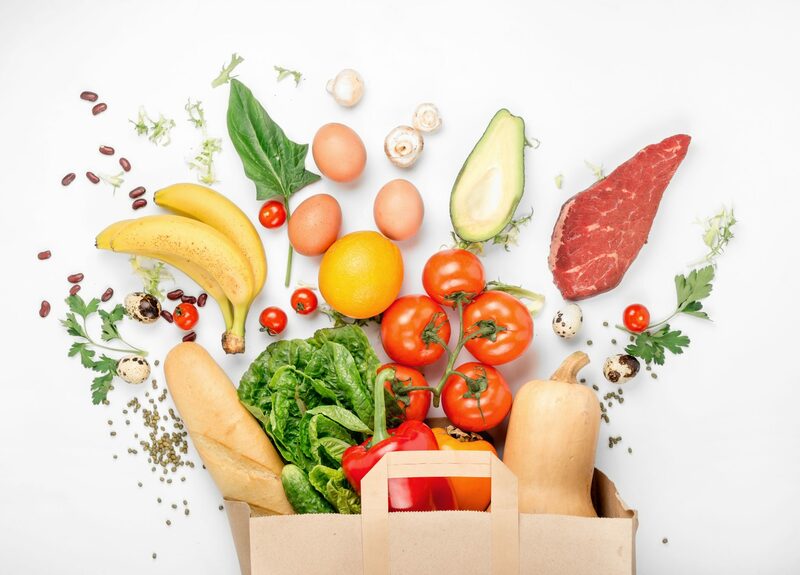 Stick to low-allergy foods first like veg, fruit and baby rice for the first weeks of weaning and then start to introduce foods from other groups such as dairy, wheat, fish, nuts, fish and egg one at a time. Fearlessness to try everything from an early age will encourage a healthy life-long attitude to food and a less-fussy eater! Is Eczema Linked to Food Allergies?